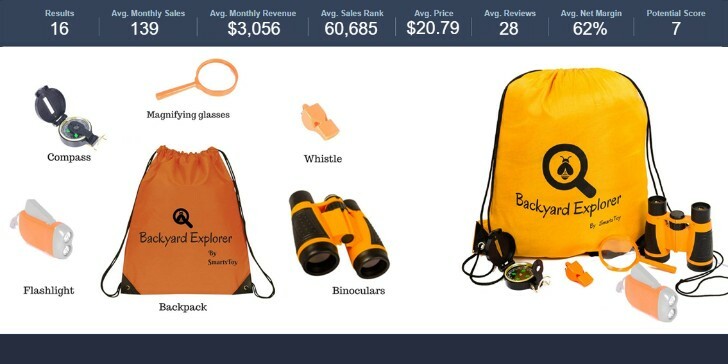 Every good seller is constantly on the lookout for hot selling products on Amazon. 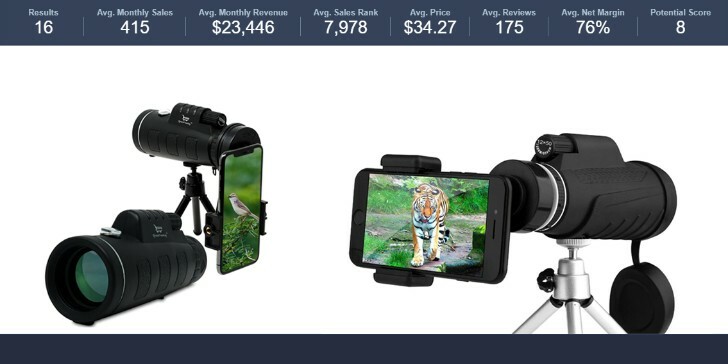 To help you get started, we used the AMZScout Chrome Pro and the AMZScout web app to discover 10 very attractive niche products that might be well worth looking into. To clarify, this doesn’t necessarily mean that these 10 products were the most profitable, but they all have a very nice balance between profitability, competitiveness, growth potential and customizability of the products in a niche. Which are all important factors to consider when selecting potential products to sell. If you are interested in selling one of these products, we recommend you start putting things in motion quickly. 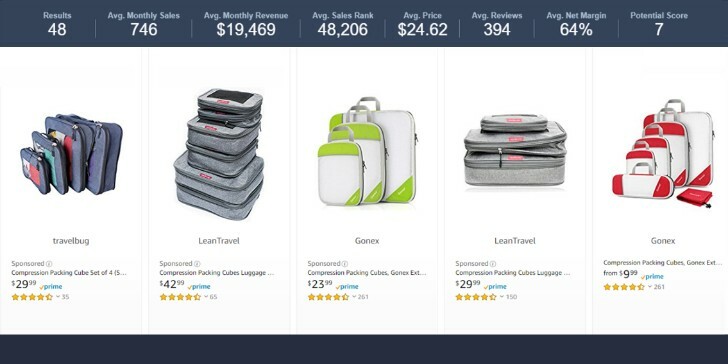 As these products become more popular and more competitive, they might not be as attractive or as accessible to new sellers. But for now, please check them out! To start things off, we have a very simple product with great margins. 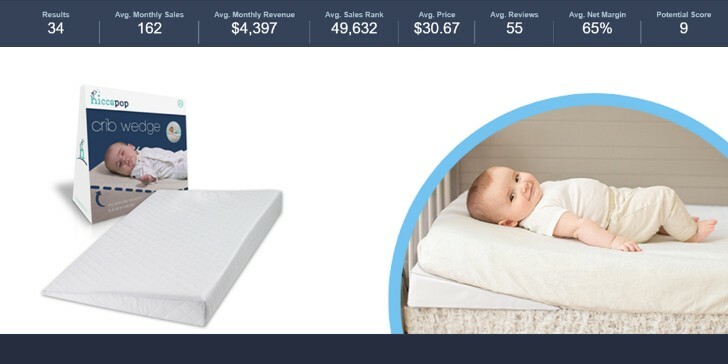 This is one of those products that reminds us why so many Amazon sellers turn to the Baby category. This niche is not overly saturated and there is a little variety and plenty of room for creativity. It is a blank surface and there doesn’t seem to be a lot going on in terms of design. You can take this chance and capitalize on it. Not to mention that it has a very impressive potential score of 9. 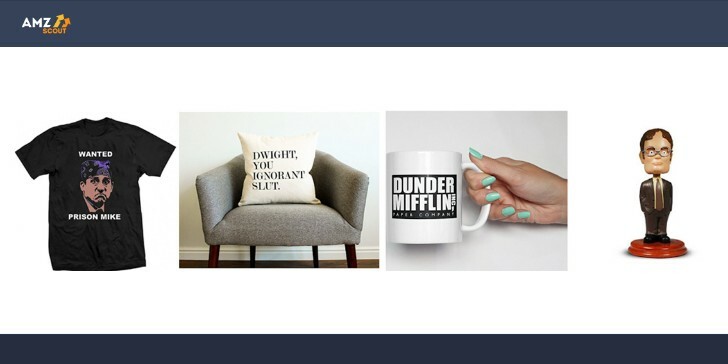 If you are a fan of “The Office” you would know that there are many occasions where you have to buy your coworkers some inexpensive gifts. There will always be an office birthday to celebrate, or group gift programs like secret Santa to participate in. We recommend this niche because it has a potential score of 7 and most importantly leaves plenty of room for added creativity. Not to mention that the keyword “office” has an extremely high search volume which allows you to experiment with your PPC and listing optimization. Think about it, the Office was a world-famous TV series that ran for 9 years and has some of the most iconic quotes and a cultural impact. If you are a fan and you know how to incorporate your knowledge into a few products. Some of them are bound to become hot selling products on Amazon. Having a proper posture is very important and apparently profitable as well. The average monthly revenue in this niche is over 13 000$. This is one of those products that can be categorized as a perfect private label opportunity. It has a great price point, no moving parts and it’s very light and compact – so you already know that shipping costs are going to be low. Every kid loves to explore. And what kid wouldn’t want to go on their adventures prepared (like a true adventurer should). This is a very simple product with a lot of potentials. It is a kit that contains numerous items. You can customize it in many ways. Like adding or removing the items from it, or even make several versions. The good thing about this product is that quality is not a priority. It’s about making sure that the child has fun with it. They don’t need high-quality materials, only the ability to let their imagination run wild. You can be sure that when the first kid on the street goes exploring with this kit, all the other kids will want a kit of their own too. 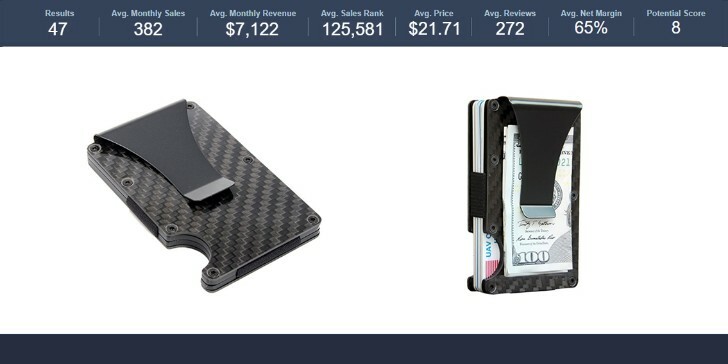 A carbon fiber cardholder is considered the wallet of the future. It’s a very elegant product which is appealing to men. Plus it saves space and looks pretty cool. This product is extremely light and small (it’s carbon fiber after all), which is awesome for an Amazon seller. There is ample opportunity for private label customization, since it has many different designs as well as different functionalities. There is no way to tell for sure how far this trend will go, but it just might be the dawn of a new wallet. 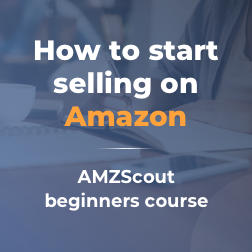 It’s likely you can establish a brand that will last for decades, or at the very least have a hot selling product on Amazon with sales that just keep growing. This is a niche with amazing potential. However, perhaps not a niche for beginner sellers. A more experienced Amazon seller could probably do some deep research and find a way to fight the competitions here. Just by looking at the variety it has, it’s almost guaranteed that there is some angle to take advantage of. Our research shows that you could be making over $20 000 a month if you rank on the first page. If you know what you’re doing, selling compression packing cubes could be a wise decision. This is a very interesting niche. It’s a relatively new technology with a high appeal. Considering that this doesn’t hurt the animals in comes in contact with, it makes sense that people would start buying it instead of traditional traps or solutions. This is a product that contains a mechanism, but it is a simple so it shouldn’t get broken or disrupted easily. This product is meant for outdoor use, so it must be durable by default. It is a great niche that can only go uphill in the future. This is just an amazing niche, plain and simple. Once again it shows how the Baby category is a great place to find hot selling products on Amazon. It has a potential score of 9 along with the ability to be totally customized. You might be able to add different patterns and colors, and possibly a different way of closing the wrap (buttons, zippers, velcro etc). On top of that it’s a very light product with a good probability of getting multiple purchases from the same customer. When it comes to hot sellers, you couldn’t ask for more! This is one of those toys that people just can’t put down. This is a good example of a product that has the ability to virtually sell itself. The curiosity factor alone, makes it a great product. People who see it sitting somewhere can’t help but pick it up and play around with it. This is a product where you can put your marketing prowess to work and shine if you have a catchier listing than your competitors. The product is a bit heavy compared to its size but it makes up for it by being extremely compact. We’ve saved the best for last! 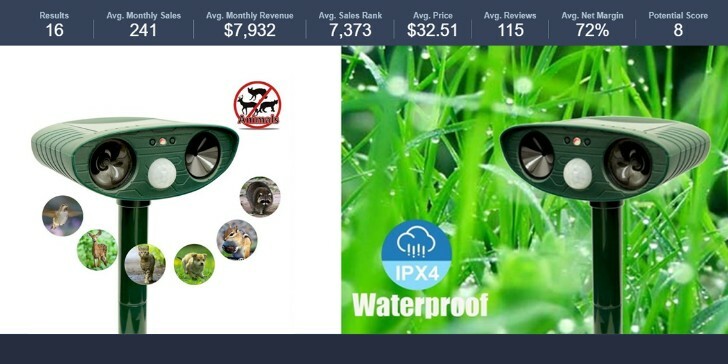 The Monocular Telescope is a smartphone add-ons, which is one of the most attractive types of products for Amazon sellers. Nowadays, everybody has a smartphone, so the number of potential customers is huge. Best of all, not many people are aware of this technology yet. In fact, all of the listings under this keyword are less than a year old. Another amazing aspect of this product is that it is a very sophisticated piece of tech and yet it has no moving parts. Which means the risk of it malfunctioning is very small. Basically, you get to have your cake and eat it too, and the cake is probably just going to get bigger and bigger. Well, there you have it! 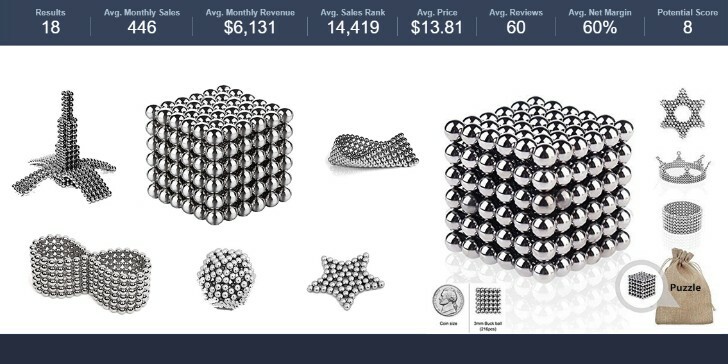 Each one of these 10 items has a very high potential score as well as average monthly revenues that don’t fall below $3000. We hope that among our list of discoveries for the 2nd quarter of 2018 you found something that will move you to action and more profits. Keep in mind that Amazon is an enormous place and that there are countless niches to choose from, as long as you know where to look. If you don’t like any of those you should do your best to find some on your own. You can do so by using the AMZScout tools. Good luck seller!